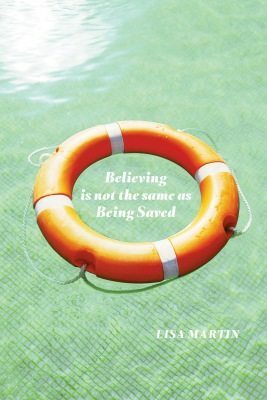 The first wave of 2017’s poetry collections include a late-career highlight from Lorna Crozier and books by younger poets engaged in typically Crozerian topics, from the Prairie spirituality of Lisa Martin’s Believing is not the same as Being Saved to the protean bawdiness of Micheline Maylor’s Little Wildheart. buttons of her blouse undone. If you had a gun you’d have shot them. As its title suggests, Crozier’s new book tends toward the spiritual, and many poems read like catechism lessons, missions into the unexpected essences of lilacs, eggplants, or (most successfully) cockroaches. These are undertaken with the same slant curiosity that has become a brand for Crozier, whether you are a fan of hers or not. What the Soul Doesn’t Want sees Crozier staying close to expectations, but her self-awareness makes it worthwhile. It’s this, aided by a tight edit (the book is a crisp 80 pages), that makes the new work as good as anything she’s published since the 1990s. These lines show a comfort with the abstract (a side benefit of Martin’s theological bent) and there are strong poems here that don’t need ballast for their philosophical leanings. The divorce poem “I-Thou” descends – willingly, if not happily – into a grammatical battle of personal pronouns. 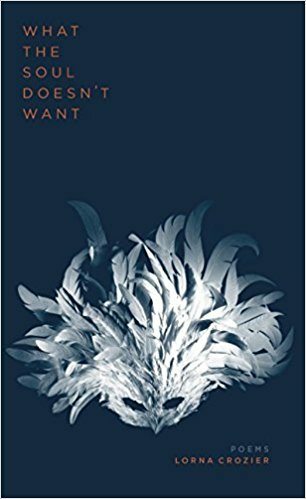 Not all of these pieces escape the ever-present threat of didacticism, and many of Martin’s last lines reach too hard for epiphanic payoffs, but there remains a spirit to the book reminiscent of early Stephanie Bolster: Martin takes seriously the need to navigate between the philosophical and material worlds. There are prosodic successes here beyond the sentence (that enjambment after “Rabbit” really helps the joke) but this and other poems are most memorable for how Maylor varies phrases to lure and surprise her reader. If Maylor is playing with the conventions of the lyric sentence, she’s playing with the conventions of poetry itself in the book’s formal pieces, like the winking Irving Layton glosa in which Maylor “hopes [Layton] sends a hard-on to beat back / those rampant herbivores.” Elsewhere, “Rewind” is a postmodern retort to the parlour trick of poems that read both backward and forward, and “The Narrative” handles storytelling as both a social exercise and a series of forced perspectives. None of this feels obscurant: Maylor’s voice is too inviting and her readiness to share too genuine. Throughout Little Wildheart, Maylor returns to a favourite trick. For a collection that doesn’t seem to waste much space, she keeps furnishing her poems with low-density rhetorical asides. She summons the poetic weasel word “heart,” but follows it with a proud, “there, I said it.” The book ends in grave crescendo, but not before one last nudge that asks, “Are you still with me, after all this otherworldly talk?” This is a charming quirk, and consistent with Little Wildheart’s willingness to invite its own underestimation; even these flourishes have purpose, slowing the reader and reintroducing the speaking voice. They are part of the book’s success as an engineered whole. 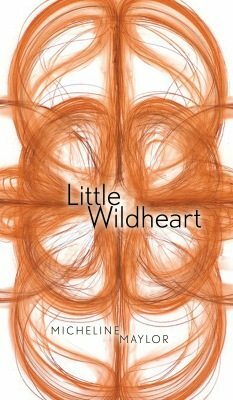 Little Wildheart is a complicated book of deceptively simple parts.